KDE neon, the operating system of the cool KDE Slimbook laptop, is a beautiful and highly usable GNU/Linux system. 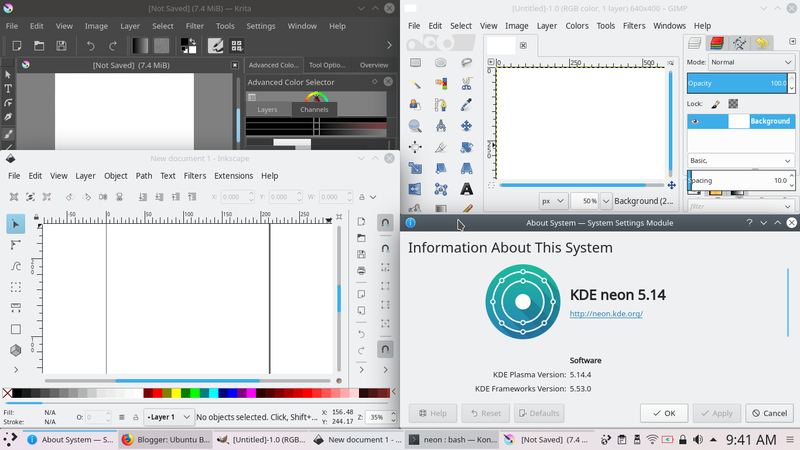 KDE neon is a perfect match for graphic designing as it offers all programs needed and the interface is pretty easy to be customized (either to mimic macOS or anything else). This article guides you about what needed to install to have same set of graphics software (replacements to Photoshop, CorelDRAW, InDesign, and Flash MX) and customizing the user interface so you can forget about the system and just work. I also include how to enable 'right-click > convert bulk photos' and 'right-click > resize bulk photos' features that many of you dreamed of. Finally, enjoy! KDE, the international technology community which produces Plasma desktop and also neon operating system, now has its own laptop called KDE Slimbook thanks to the collaboration with Slimbook, a GNU/Linux computer company from Valencia, Spain. This professional laptop is powered by the mentioned neon GNU/Linux. If you want to purchase it from worldwide, go to The Store. 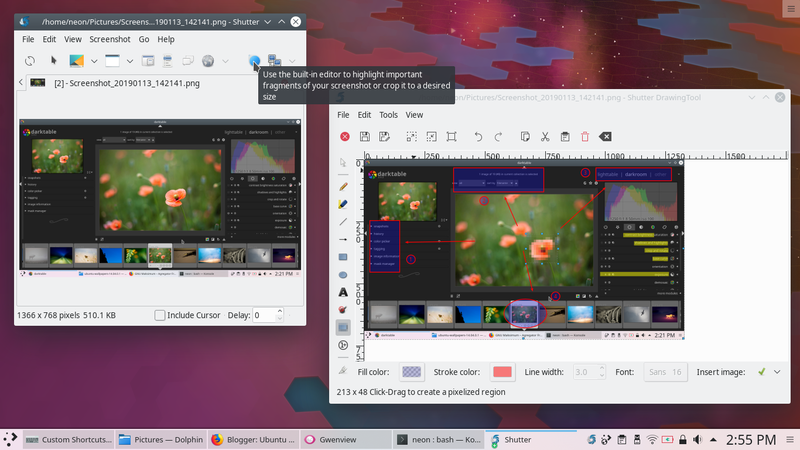 If we know KDE neon is the official OS of this laptop, then either we have the KDE Slimbook laptop or not, we can use the OS for professional graphic design jobs. You can install KDE neon on your existing laptop with this tutorial. The rest of this article guides you to setup neon to suit designing needs and installing libre graphics software you may want to use to make great artworks. For you who have purchased KDE Slimbook laptop. For you who installed KDE neon yourself. 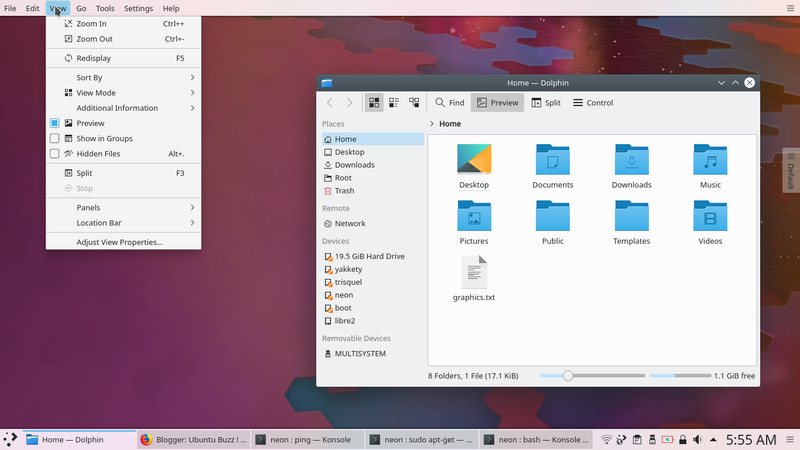 For you who love graphic design in general and in the same time love GNU/Linux with KDE. For everyone who wants free/libre software for graphic designs. Is it the one you have been dreamed of? Having bulk-convert and bulk-resize integrated to your file manager? You have it on KDE neon thanks to KDE Image Menu (KIM) program by Charles Bouveyron. See below I selected a lot of JPG photos and there is Convert to PNG in the right-click menu. 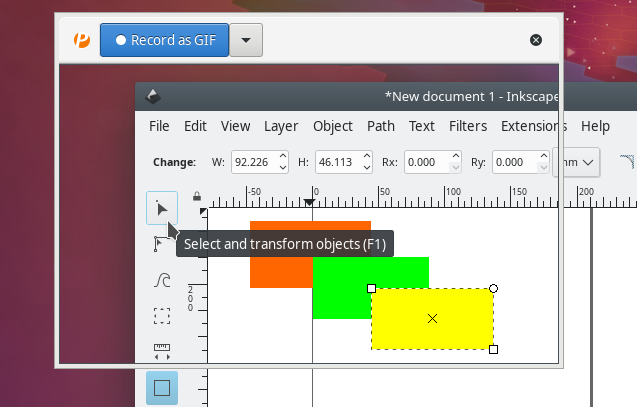 There are also convert to GIF, TIF, PDF options. See below, for bulk images selected, you also have Resize to Certain Size ability with presets available (600x450, 800x600, 1024x768, etc.) Pay more attention, there is also Compress at Certain Percent (75%, 80%, 90%, custom) ability. To make it reality, follow my old tutorial in installing KIM. It still working even on Plasma 5.14.4 today. Trick: click the hamburger button on top panel > More Settings > Lock Widgets, this is the way to prevent further changes to your finished customization. 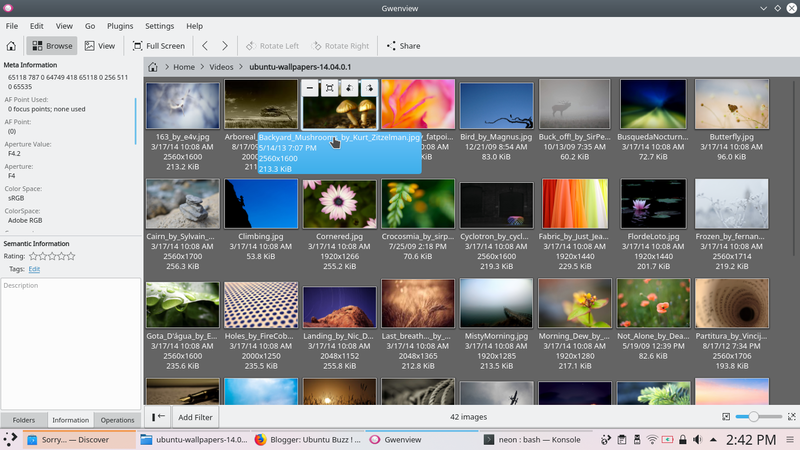 Gwenview is the default picture viewer of KDE neon. Use Gwenview to crop individual photo very quickly. Press Shift+C to select area and press Enter finish it. Gwenview is also photo organizer. You can import photos from certain folder, partition, or external storage, or even camera. See more Gwenview interesting features from Fedora Magazine and FOSS Adventures. You can create custom shortcut keys freely. 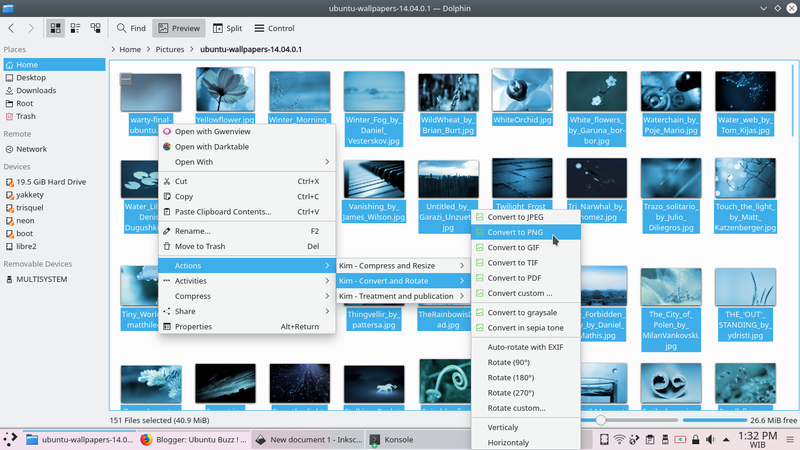 For example, you want to open File Manager with Win+E (called Meta+E on KDE neon) just like Windows Explorer. Another example, you want to call a certain command line with Ctrl+Alt+Y. 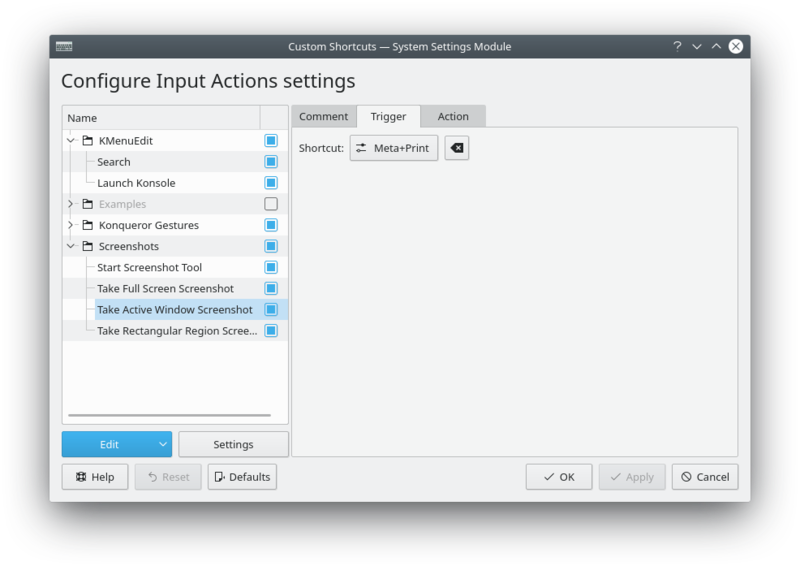 All of those are possible with KDE System Settings (similar to Windows Control Panel). GNU Image Manipulation Program, a free/libre Photoshop from GNU operating system. It's very good for raster image editing and photo retouching. It is also good for digital painting. It includes many filters and with GMIC combo, you can create awesome new filters yourself by combining existing ones or making a new one. And yes, it can read-write PSD file format. And more interestingly, it can import Photoshop's brushes. 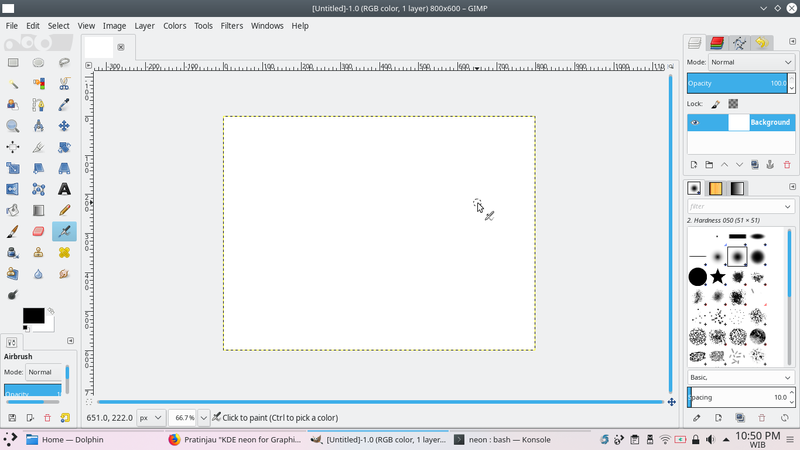 Inkscape is a vector graphic editor. Its default format is SVG (the standard format from WWW Consortium) and it's very easy to use. Inkscape community worldwide is very big and welcoming. It is a libre replacement to CorelDRAW and Adobe Illustrator. Scribus is a professional desktop publishing (DTP) application to replace QuarkXPress, PageMaker, and InDesign. Personally, I used Scribus to layout my own magazine in 2015-2016 and I am truly satisfied with the results. 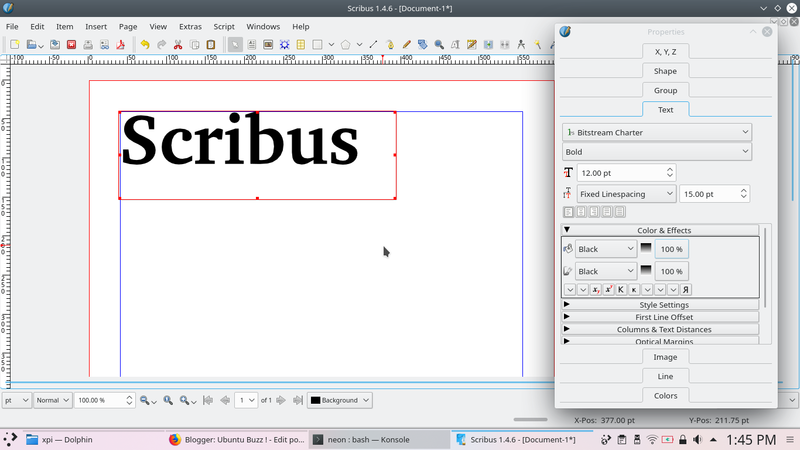 Scribus is my most favorite libre graphic software after Inkscape. Really, read the wiki. It gives many detailed tutorials. Krita is a professional digital painting software. Starting from version 3.0, Krita is also a 2D animation studio. 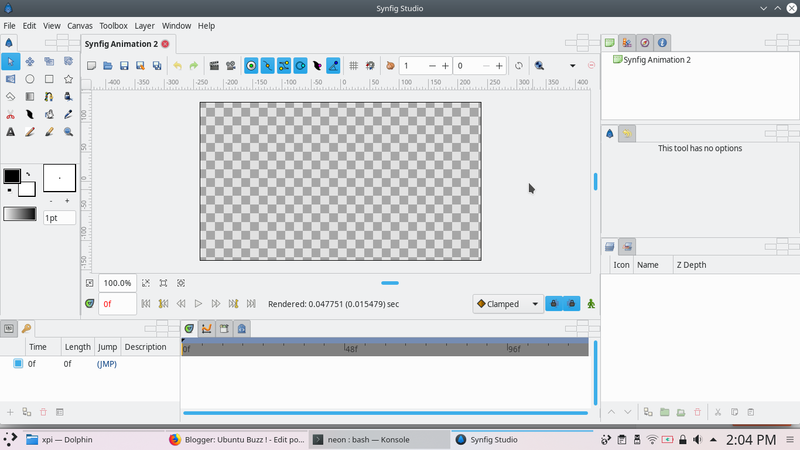 In this case, it's similar to GIMP and Synfig at the same time. 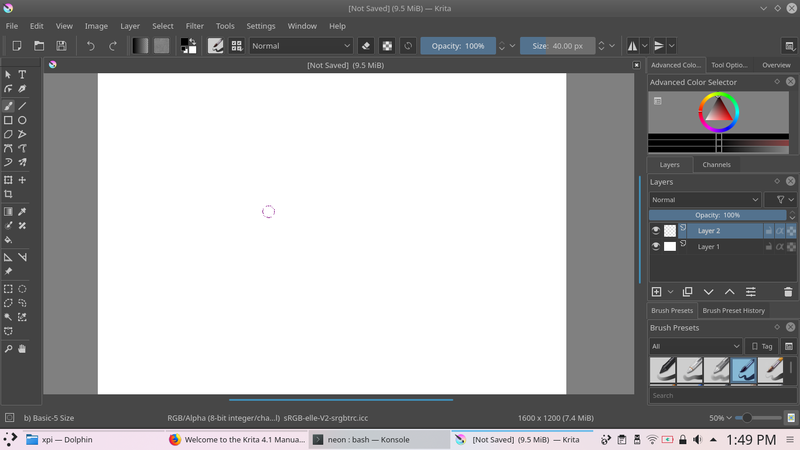 Yes, just like GIMP, Krita can import Photoshop's brushes. 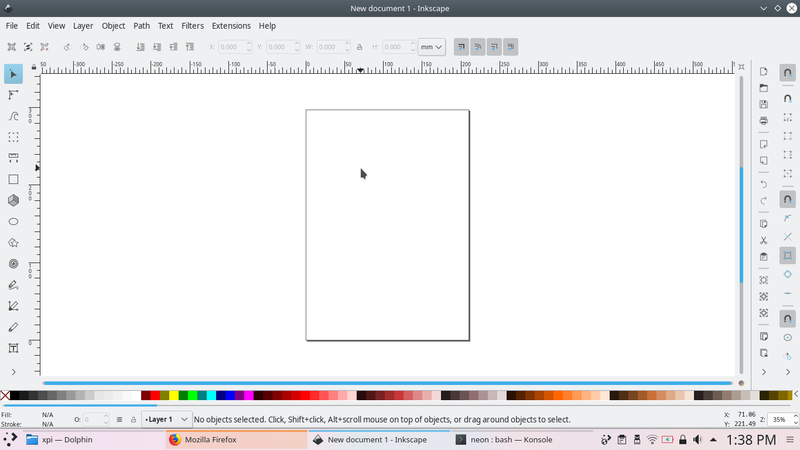 Fortunately, on KDE neon (or actually Ubuntu LTS), Krita reaches version 4.0 or above now. Peek is a desktop recording tool. You can save your recording as GIF animation and also WEBM video. This is extremely useful if you are a graphic design tutorial writer to explain with GIF animation some particular design tricks. For example, with the aid of Key-Mon, you explain briefly what to click and what key to press to make a brush on GIMP. Some of you know that some of my GIF animations here are created with Peek. To run Peek, download the AppImage package here and simply run it. Very convenient, no? Trick: if you wish to record whole screen instead, use Kazam, and then convert it to GIF using FFmpeg. It is a 2D animation software which supports keyframing, layering, and tweenings. 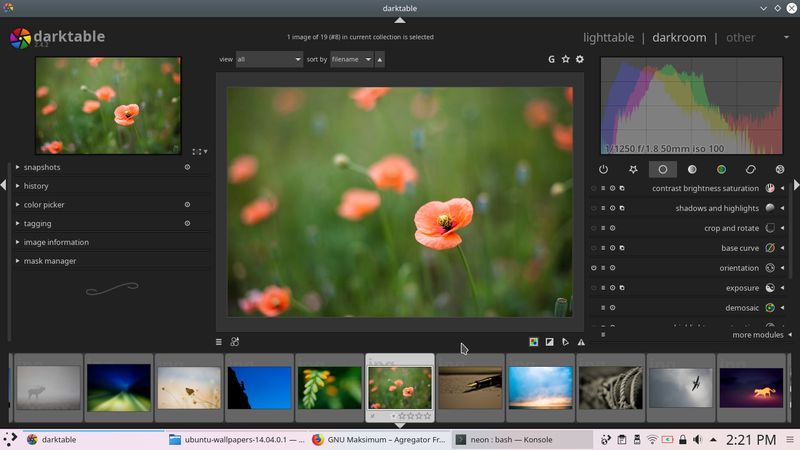 darktable is a libre software virtual lighttable and darkroom for photographers. Hence the funny name: if Adobe's product is light+room, then this one is dark+table. Among other proprietary (nonfree software) alternatives, there are ON1, DxO, and CaptureOne. 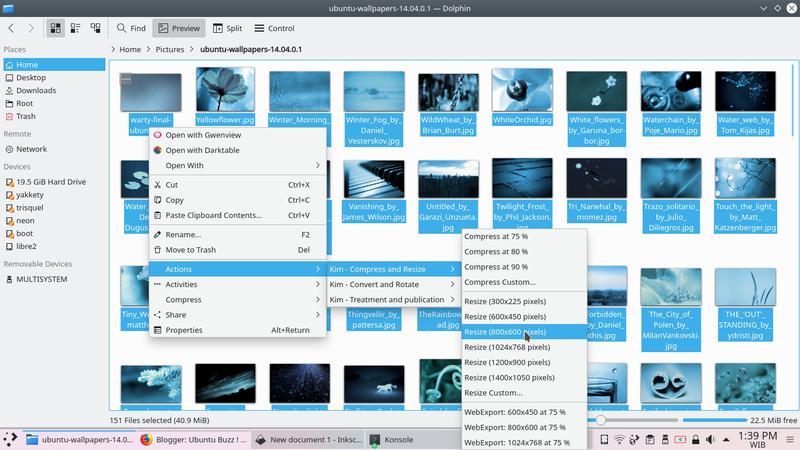 Among free software solutions there are darktable and also Rawtherapee already available on KDE neon repository. 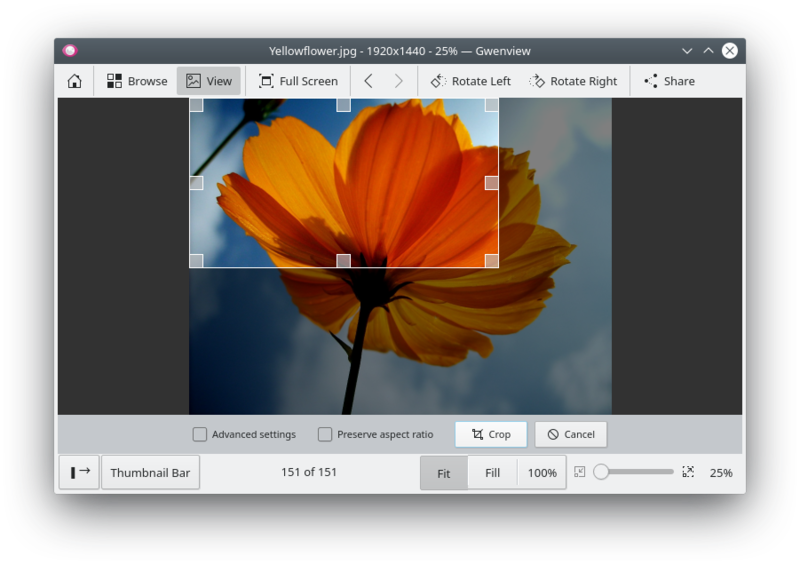 Shutter is a complete and useful screenshot and screenshot editor tool on GNU/Linux. As screenshot taker, it can take whole screen, a window, a menu, a tooltip, and a rectangular region of screen, and of course with delay option. As editor, it gives you arrows, rectangle and ellipse, text, automatic numbering, mosaics (to censor certain part of screenshot), and crop, and of course with colors and transparency. As some of you knew, many of my articles on this UbuntuBuzz are edited with Shutter. Blender is a famous 3D graphic modeler and animator. 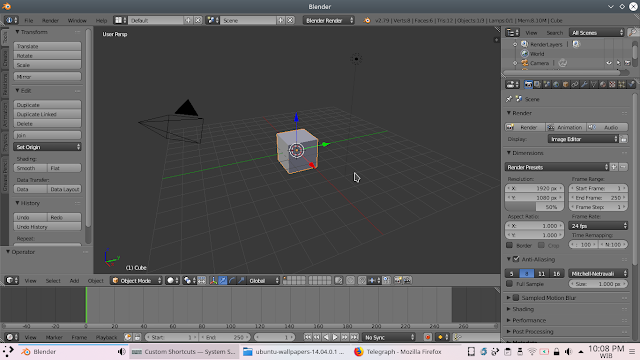 You can use Blender for your 2D graphic projects too in case you want to display your picture in 3D way. Even more, Blender is also a non-linear video editor. Finally, as a designer, of course you will need designer community. Especially if you are a libre software graphic designer who use libre software while this world is full of non-libre (proprietary) graphic software. Fortunately there are so many forums and discussion groups and even international conference for libre graphics tools. I hope you can explore them by yourself and find your beloved community like your own home. That's all. There are so many things left unsaid (and personally undiscovered by me myself) in this libre graphics design field. I hope this article really gives you the most needed basics and enable you to setup your own libre graphic laptop with neon GNU/Linux. Happy designing. Happy working. Enjoy!